Adverbs are words that are used to modify or signify the meaning of a verb, an adjective or any other word or sentence. It is one of the main parts of speech. They are usually answerable to questions like 'when', 'how', 'where', and 'to what extent'. 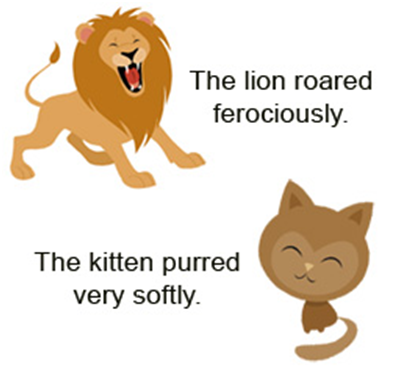 In the English language, adverbs are formed by adding the suffix – ly to most adjectives. Now let's get into the details of the subtypes. Adverbs of place give us more information about a place of significance or action. 1. The kids are playing outside. 2. He was standing near the wall. Adverbs: 1. Outside. 2. Near. 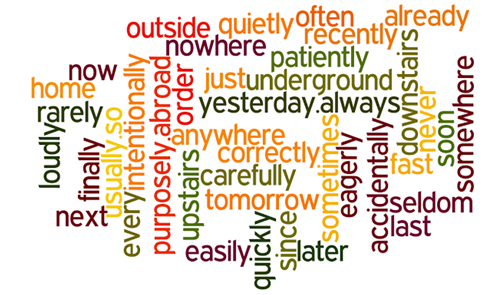 Adverbs of manner tell us the sequence of impending action or event. It also shows how the events will unfold in the future. 2. He will drive slowly. Adverbs: 1. Loudly. 2. Slowly. 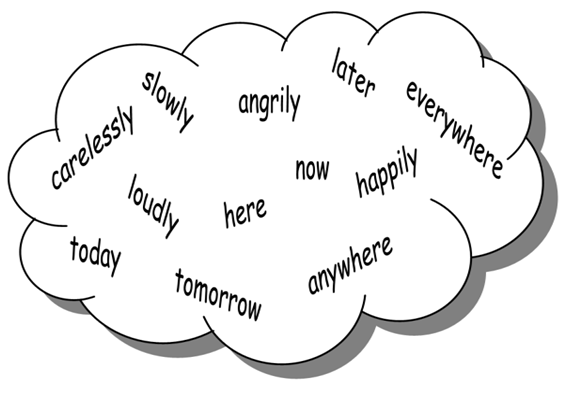 These adverbs give us more information about the time of action or event. 1. I will buy a car tomorrow. 2. The guest came today. 3. He is still waiting for his sister. Adverbs: 1. Tomorrow. 2. Today, 3. Still. These adverbs tell us how many times the verb performs its function, i.e. the frequency of the actions or events. 1. Namita goes to school daily. 3. Ranjit is always late for the gym. Adverbs: 1. Daily. 2. Never, 3. Always. Below is the correct and incorrect usage of adjectives. 1. Incorrect: The car works perfect. Correct: The car works perfectly. 2. Incorrect: Did you study hardly today? Correct: Did you study hard today? 3. Incorrect: He behaved rather sillily. Correct: He behaved in a silly way. 4. Incorrect: He passed the exam difficultly. Correct: He passed the exam with difficulty. 5. Incorrect: Her answer sounded correctly. Understand the context and use the right adverb according to the situation. 1. He has never been like that! 2. When I leave, I will call him often. 3. I am still thinking about her. 4. I usually get up late. 5. I have seen her recently. 6. They were flying kites on top of the bridge. 8. The maid is paid on a monthly basis. 9. He is seldom late for class. Adverbs: 1. Never. 2. Often. 3. Still. 4. Usually. 5. Recently. 6. on the top. 7. Tomorrow. 8. Monthly. 9. Seldom. 10. Rarely. As you can see from the above definitions and examples, adverbs are a simple concept, provided that you practice it regularly and make an effort to understand it. Adverbs are an integral part of English vocabulary. Practice often and clarify your doubts with the help of an online English teacher. Make your grammar foundation strong for complete fluency in spoken English skills.